Devices that boost cellular signals in areas of poor coverage can turn a useless phone into a portable powerhouse, but maybe they’re too good of a solution. The CTIA, an international wireless telecommunications industry group, is seeking greater control on the use of such signal boosters, reports the New York Times (s NYT). Both AT&T (s t) and Verizon Wireless (s vz) have filed complaints about network interference, which may be a legitimate issue, but carriers have other reasons to put pressure on signal boosters. It’s worth noting that many carriers now offer their own solution to the coverage problem in the form of femtocells: small cellular base stations that expand a localized coverage area up to 5,000 square feet. These femtocells are available for a fee, although in some cases, carriers have quietly offered them at no charge, and represent another revenue opportunity that signal boosters could be taking away. The carriers also sell additional service plans with femtocells; AT&T customers, for example, can pay $20 extra per month for unlimited voice calls made through the device. Clearly, there’s a financial benefit for carriers to corner this market, but there are additional incentives for them to want to shut out signal boosting device companies. Femtocells take traffic from the handset and offload it away from the cellular operator’s wireless network; customers connect a femtocell to their existing home wired broadband which handles the traffic. In effect, femtocells reduce the demand for a carrier’s wireless infrastructure as opposed to standard signal boosters, which still keep voice and data traffic on the operator network. What I find slightly ironic about this situation is that the CTIA is leading the charge for the Federal Communications Commission to review the use of third-party signal boosters. I’ve attended the CTIA Wireless show, an industry trade event, and have met with companies who produced signal boosters, such as Wilson Electronics. 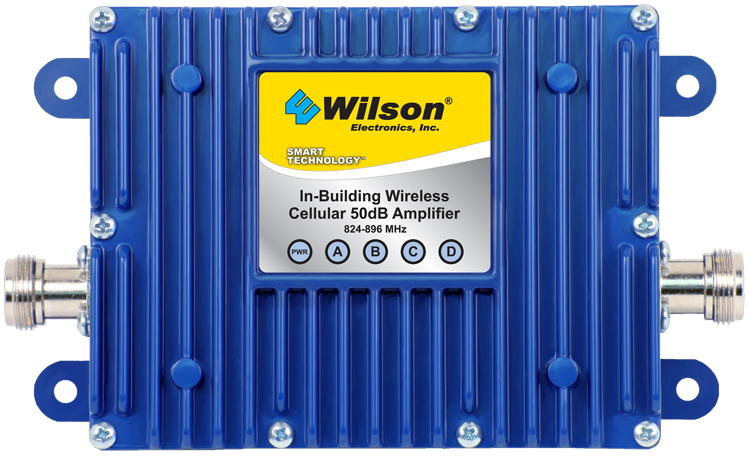 Indeed, companies like Wilson offered their solution long before the carriers realized they needed femtocells to help cover network holes in homes and businesses. I’ve tested some of their mobile products, and they can definitely strengthen a weak cellular signal, adding 3 or 4 bars to an iPhone (s aapl), for example. Granted, allowing exhibitors like Wilson Electronics at its own trade show doesn’t imply that the CTIA is endorsing signal boosting products, but concerns about interference from such devices weren’t prominently voiced by the CTIA until recently. Is it any coincidence that these issues cropped up around the time the carriers were prepared to offer their own solution for additional money? Ultimately, consumers will suffer if signal boosters, or any other devices, for that matter, cause network interference. So I’m not against any FCC research nor any common-sense regulations that prohibit such solutions. However, I’d like to see the approach taken where a signal boosting device could still be sold, provided that it either meets FCC interference guidelines or can reduce its signal in situations of potential interference. Anything short of that would just give the carriers more control than consumers want and shut out the smaller players in this huge industry. Can’t these devices just co-exist so that consumers can have a choice of which solution best fits their needs? I have the T-Mobile MT3G. I would love to be able to make calls over my WiFi. Could you direct me to a site showing how to configure it? One of the problems that has stalled femtocells is that the iPhone messes up entirely on connections. As described in my post at http://forums.att.com/t5/AT-T-3G-MicroCell/iPhone-Not-Connecting-to-Microcell/m-p/2525293/highlight/false#M4776 the iPhone has to go into Airplane mode frequently to re-discover the femtocell. While it is only a minor bother to do this before an outgoing call, it is ridiculous to do this when a call is coming in. The next post in the thread (#31) makes it sound like the problem is not with AT&T’s femtocell but with the iPhone. Hopefully this will get fixed with the iOS update. But then AT&T might stop giving out the femtocells free if you ask for them, illustrating that you get what you pay for. I wonder if Apple is paying AT&T for all the multiple femtocells it is giving out to customers who discover how flawed the iPhone is with femtocells. Hopefully it is something that can be fixed through software and not require new hardware. Those of us in buildings with wire mesh in the walls need working boosters. Carriers shouldn’t be getting away with even handing out femtocells. Femtocells cost them next to nothing compared to actually doing what they get paid to do – build out their infrastructure until it works properly, instead of piggybacking their data onto the Internet. What happens in an emergency when capacity is already too low, all in the name of maximized profit through minimized work effort, and there is a genuine emergency, for instance? Having one system that depends on another system entirely is just silly – plus, of course, it’s a license for the operators to do less than the bare minimum in return for vast profit. Add to that that every American mobile phone consumer has been gouged for years for several dollars a month expressly to pay for expansion of the mobile networks and it goes from just bad to downright ludicrously bad that shenanigans like femtocells are needed. This booster costs $129 (reduced from $249). It stretches the signal, but if you live in a place with borderline signal, it just means that borderline signal goes a little further. And, as MarkZ says, it causes interference & makes the serbice for your neighbours worse. That is why these boosters are illegal in most countries. The fact FCC has turned a blind eye until now doesn’t make it a good idea. Why would you prefer this to a femtocell? It is not as though it is free. In fact, it costs more (Softbank is free; Vodafomne is Â£20 / $32; Sprint is “from free”; AT&T list price before discount or voucher is $160, which is not so different to $249/$129). And this just stretches a bad signal which you share with everyone else on the cell tower, so you get one bar at home – wow. A femtocell gives you your own private basestation, five bar coverage (Vodafone’s slogan is “Five bars. Guaranteed”), with 100% use of a screaming fast data-connection (I regularly get 5Mbps on my smartphone to my femtocell; when do you get that on a crowded cell, let alone with one-bar and a booster?). As a consumer, I can pay for one box that gives me far better service. Or I can pay the same (or more) for a different bbox that trashes my neighbours & gives me worse servbice. Explain again why this is a conspiracy…? I’m replying to my (completed) post, not to your reply to mine. I pressed enter too soon on a part completed post. The *only* carrier charging a monthly fee is AT&T – and that is an option. You can have the femto for whatever fee it costs: “from free” up to list of $160 (and various rebates). Then if on AT&T you either pay nothing a month, or they offer a service plan where for $0 / $10 / $20 (depending on what tariff you are on, if you use their broadband) you and all other people in the household get free, unlimited calls on your cellphone. So, no monthly fee. Or, I could see that for a lot of people paying even $20 per home made sense for free calls if saved money, or you reduced your cellphone plan, or even if you cut the cord. But if you don’t want that plan, then don’t select it – and pay $0 per month for your femto. Given it is cheaper than a booseter, andf it gives you a better service (faster data rate, better call call quality) and the option of a service plan, what is the problem? Roberto: as far as I know, AT&T is *not* the only carrier charging a monthly. Sprint: http://shop.sprint.com/en/services/airave/index.shtml The Airave is $99 up front and requires a $4.99 monthly “AIRAVE Enhanced Coverage Charge” per Airave unit. There are also optional unlimited calling plans to supplement for $10 or $20 per month. Verizon: http://www.verizonwireless.com:80/b2c/store/accessory?action=gotoFemtocell No monthly fee, but the femtocell is $249 (about the same or more than some boosters) and only just began to support data last month. You are right: I didn’t realize that. My apologies. OK, once again, US consumers seem to be gouged for cellular. I still think it is a good thing, and boosters cause trouble, but I can’t defend those charges. I’m not sure I follow your point, or the comments below. The booster sells for $129 (reduced from $249). That seems more expensive than femtocells from Softbank (free), Vodafone (Â£20 = $32) or the various offers carriers have. It’s not too different to list price from AT&T ($160 before rebaters, vouchers etc). Yup, in light of the regional pricing, I can understand why you’re not following. The U.S. carriers are against the boosters and here in the U.S. the femtos typically aren’t free, or if they are, require an additional monthly fee as mentioned in the post. In other countries, different business models are used with femtos: free or low-cost, as you pointed out. One thing to consider is that the carriers don’t have an in-car option. Femtocells work great for in-building use IF that person has broadband service since that is required for using it. In rural areas where they don’t have affordable broadband Internet or any broadband at all, boosters are a great option for those consumers. One drawback with a femtocell (from what I know) is that if you have a Verizon femto only a certain amount of phones can be connected to it and they have to authenticate to an extent to use them. So your friend comes over with a Verizon phone, he needs to authenticate. Also, most boosters are carrier agnostic so anyone can use them. What would the price be if you had to buy a femto for every carrier in your house? Regarding interference, there are certain technologies that can be embedded into the booster to ensure there isn’t interference with the towers. I work with Wilson Electronics, and they have successfully worked with Canadian carriers to make sure that everything “plays” well together. Cell boosters absolutely interfere with cell-phone service providers. Think about it – there’s no way to generate a boosted cell service without acting like a tower – which causes your neighbor’s cell service to totally flake. Cell signals are almost in the noise and adding another one to the mix is more than dangerous. The reason for the ‘new’ concerns is their new popularity – it’s not some cell-provider conspiracy theory. No Femtocells are hooking into your wifi, not acting like a booster. Totally different and benign technology. MarkZ, femtos aren’t “hooking into your wifi” – they require a wired connection to a user’s home broadband; there’s no Wi-Fi needed nor used with a femtocell. And the radio chips inside them are based on cellular network technology, not unlicensed spectrum used for Wi-Fi. If they used Wi-Fi, they’d be UMA or Unlicensed Mobile Access devices. I’ve spoken to the Femto forum about this very topic and they tout femtos instead of Wi-Fi because Wi-Fi doesn’t guarantee any quality of service. Hope that helps clarify. MarkZ: It depends on the type of amplifier. 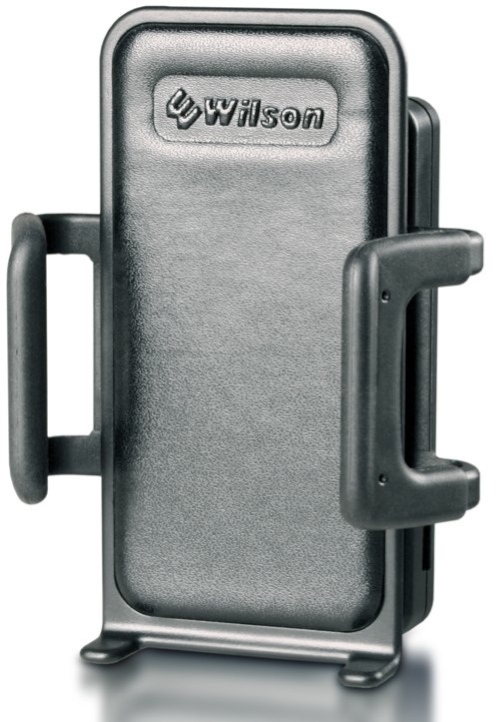 Wilson sells amplifiers that connect directly to the external antenna port on the back of the phone. All the Wilson box is doing is amplifying the outbound signal with a PA. I wouldn’t be surprised if they were using a LNA to increase the RX signal as well. The cell towers use uplink power control. So, the phone will only put out as much power as is needed to close the link, with some margin. The tower will tell the phone to decrease power, which will in turn make the amplifier reduce power. It will still maintain the same margin. No extra interference or too hot of a signal. These types systems are mission critical to Emergency Services users in rural areas. You can’t put a femtocell in an Ambulance easily (no backhaul). Other boosters “repeat” the received cell signals, which can cause issues if improperly setup. Usually those are used in buildings, and some in-vehicle systems. Femto/Micro cells can benefit those users. Most Femtocells are a CDMA/3G (WCDMA) variant anyways, so they can all co-exist on the same channel and not have interference issues. You don’t see many 2G (GSM) femtocells, as this would require a large amount of frequency planning to not interfere with existing towers ARFCN’s. The article is titled “The Real Reasons Cell Phone Boosters Are Suddenly Taboo.” I see some guesses, but no real reasons. Steve the reason is the same on that Ma Bell tried to use when people tried to sell covers for phone books, non-Ma Bell provided phones etc. This is also the same logic that says you can only use phones bought from and authorized by the carrier on their network. If we don’t control it we can not charge you extra for it. Another example (like the national news) of Federal govt thinking only of possible abuse of these devices in cities (East/West coast) and not thinking of the big empty part of America in the middle. Places like Wyoming and Montana are full of areas that need these boosters. Femtocells use part of my monthly internet allocation, which I’m already paying somebody else for. Why would I pay ATT/Verizon for something they don’t own or control? Femtocells are insulting. I’d rather pay Skype or Magic Jack. My cordless phones are hooked into my cell via bluetooth and my computer via a Magic Jack and USB. I don’t need a femtocell. I’ll be damned if I pay for femtocell service of any type. I find that if I have to pay extra for any service to work, the service has in effect, failed me. I see no reason for carriers to charge for something like this. Carriers should be handing these out for free, not charging and arm and a leg. I really do not know how they expect to sell these units. I mean, if your selling me a service with guaranteed coverage (according to the carriers map) I expect that level of service. I don’t expect to pay you an extra $10-$20 a month to receive that “basic service” I originally paid for. While, I have heard of some stories where the carrier offers these for free, usually, the person has had to threaten to cancel their service. The sad part is that Jack is right. Once the lobbyists start on this you can expect for (paid) femtocells to be the norm. Maybe the way to push the issue of delivering contractual service would be a class action lawsuit against the carriers for failing to live up to their coverage map and commitment. Just look to see how the FCC, CTIA, and carriers react when they start getting large front page coverage of their failures and attempts to charge more to use what you already pay for. One of the booster companies could easily help organize this. Carriers, quite simply, want it both ways. They want to be able to offload traffic to broadband in order to ease congestion, but they still want to be able to charge users for it, even if they aren’t actually transporting the data. Just look at how UMA-like solutions are being replaced for femtocell-like ones. Signal boosters keep traffic on wireless networks, which may be what customers are paying to use, but doesn’t help the bottom line like femtocells will.